A property like this doesn't come along very often. Primely located off Toorak Road on a quiet street, this beautifully maintained apartment is immersed in the best that South Yarra has to offer. Conveniently close to the train station and the abundance of culinary and boutique delights along Chapel Street, it is the ultimate urban haven. A vast open-plan living area laden with plush carpets accesses a sizeable alfresco courtyard, affording ample space for transitional living. 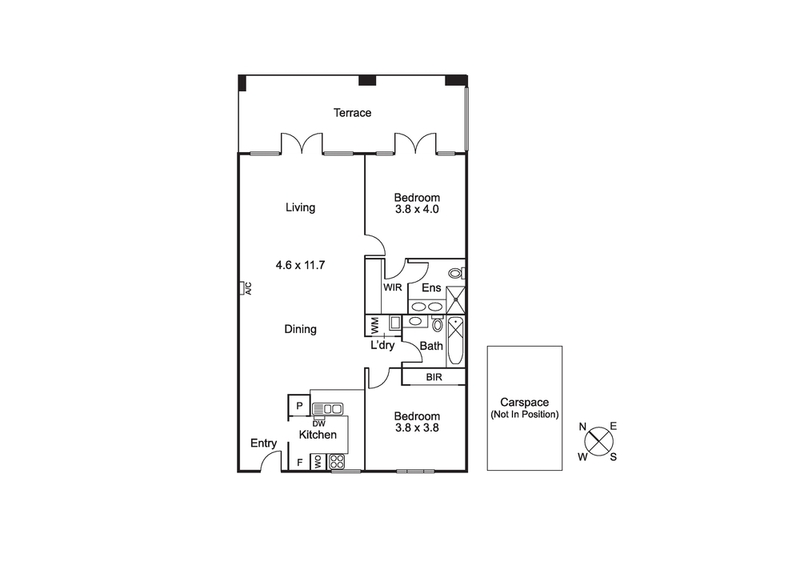 The U-shaped kitchen is generous and includes a breakfast bar, stainless steel appliances and plenty of storage space. Offering two bedrooms, the master suite enjoys courtyard access, walk-in wardrobe and ensuite with double vanity, while the second is equally as spacious with convenient access to the main marble-style bathroom with tub. Situated in an attractive and secure building and offering a single car space, it poses a rewarding investment opportunity or ideal home.